are looking best study material to make proper preparation of this admission exam they may download XAT Exam Pattern PDF as per new format through online way. Those applicants who want to take admission in this institute they need to make effective preparation. Good marks are possible by any one if grab whole sections of new syllabus and exam pattern. To make proper schedule is necessary if you have desire to crack Xavier aptitude test to take admission in management course. Dear candidates if you want to do effective preparing for Xavier aptitude test then you are suggested to make a chart of study so that you may give more and more time to all part of exam. Dear candidates it will be very effective in exam preparation to join any famous and proper coaching center as well as self study. Please clutch proper exam patter from here and know best idea about Xavier aptitude test. Provided exam pattern is representing the complete Xavier aptitude test scheme for all interested students who possess skills for offered course. More content associated with XAT Exam Pattern are written below on this web page for all students who are here just now!! Exam Mode: The Xavier Aptitude Test will be conducted via offline mode which is also called Pen-Paper Mode. Parts: The examination will be conducted in two parts that are Part 1 and Part 2. Questions Type: All the questions in the paper will be objective and subjective type questions. Duration: The total duration of examination which will be given to the aspirants is 3 hours 35 minutes (10:00 AM to 1:35 PM). The Part 1 will comprise of Verbal and Logical Ability, Decision Making, Quantitative Ability and Data Interpretation &General Knowledge. There will be 72 questions in Part 1. Total time which will be allotted for Part 1 is 170 minutes. Paper 2 will comprise of GK & Essay Writing. 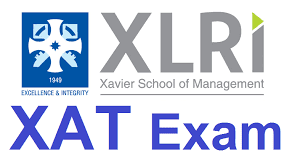 XAT Marking Scheme: In Xavier Aptitude Test whole questions will carry equal marks. There will be deduction of 1/4 marks for each wrong answer. Applicants may make choice in XAT Exam for not attempting 12 questions. Moreover if the any question is left un-attempted there will be negative marking of 0.05 marks. So applicants are advised to carefully mark the answers its upto them whether they want to attempt questions or leave it as there will be negative marking also of 0.25 marks for every wrong answer. Note: You may check Official Link if you want to know other details about XAT exam pattern.